A man finds himself dumbfounded when proposing to a woman who has clear affections for him and she refuses based upon her belief that she is insane. When asked further about this, the woman explains. Long ago when the woman was was in her mother's womb, her mother and father lived in cabin in a more rustic area with their first born. The father was a typical woodsman and regularly went out into the wild to hunt for food. One day, when he went to head out, his wife beseeches him to stay for she portends something horrible will happen. The father assures her that he will be ok. As night came, a panther appeared at the window scaring the mother. She clung her infant to her chest as she waited in terror. Eventually, the woodsman comes home to find his wife. While the panther did not do any harm, the baby was accidentally smothered to death. The woman was born several months after this but her mother died in the process of giving birth. The man proceeds to elicit how this story constitutes her being insane. She simply says that a person born under such circumstances must be clearly insane. The woman leaves at this point and the man believes he sees a panther. He runs after her but as she arrives at her house, he can see no panther. Some night later, he finds a panther has crept into his room. He shoots it and it flees. When he and others pursue it by following the blood, they dod not find a dead panther but the woman's father. This was one of those dark and supernatural tales, raising the question of whether the father was a panther all along and caused the death of his first child as well as the question of whether the daughter is also a panther. 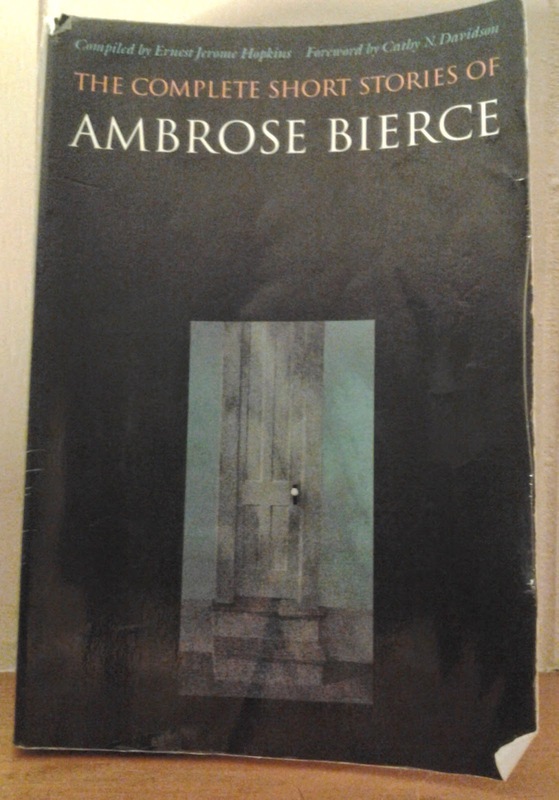 That the woman accepts her potential insanity or panther-existence is not too surprising for a Bierce tale which tends to steer away from romance. Source: The Complete Short Stories of Ambrose Bierce, compiled by Ernest Jerome Hopkins. Bison Books, 1984. The story can be found here on here.